I'm a sucker for hearts. Heart shaped sweets. Heart shaped cookies. Hearts are always my 'go-to' doodle when I'm on the phone. 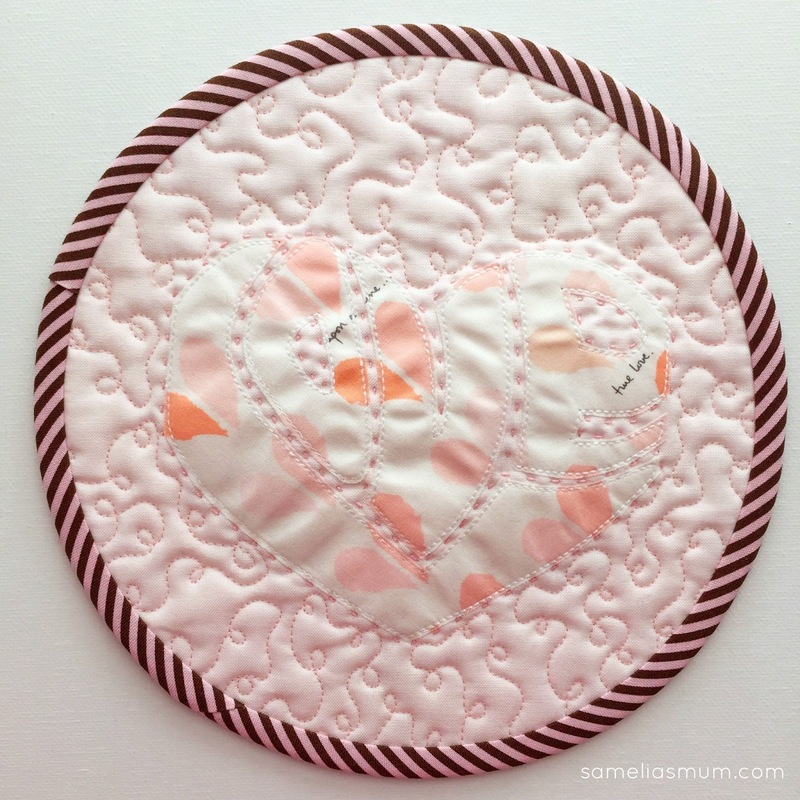 I love creating sewing projects which feature hearts. Yes, I'm a romantic.. at heart. This Love is all Around project is an update from a previous project. This time, I've reduced the size of the "LOVE" applique so that it can be used for smaller projects... like round coasters. The link to my FREE pattern download is available at the end of this post. Honestly, I've had such fun creating these and I found they're quite addictive. Choosing pretty fabrics and backgrounds is half the fun! They only take an hour or so to make - depending on how much embellishing and hand work you decide to do and I think that they're the perfect little gift for a friend who needs a boost, or just to show them that you care. I received a lovely Christmas card from Amy and a piece of her beautiful new Paperie fabric (Art Gallery Fabrics) - which is really what got the ball rolling on this project. I wanted to create something special with her fabric and came up with coaster idea. This project is a perfect way to use a favourite piece of fabric. The quilting can be done before or after the applique. I've tried both ways and love both of the results. 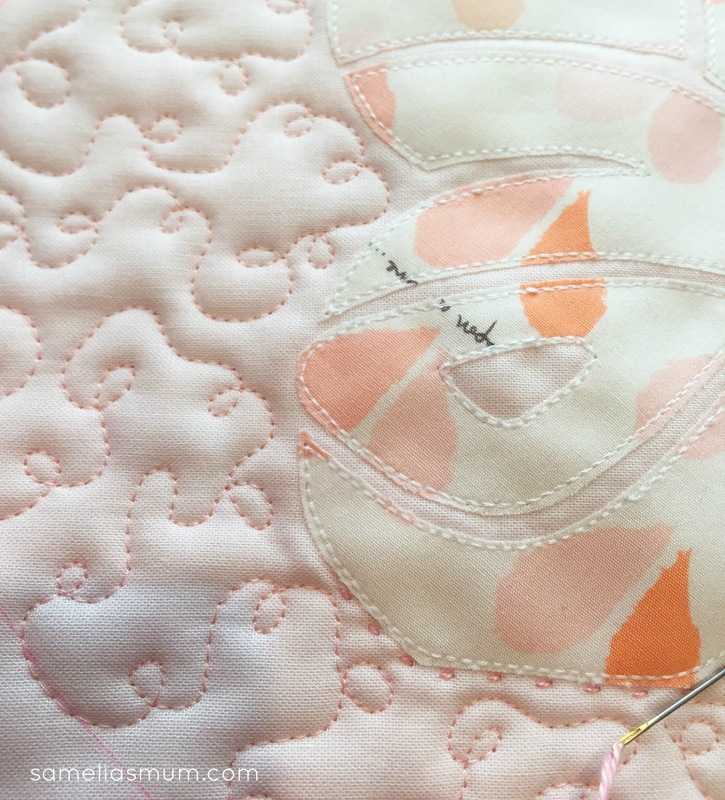 To quilt before, just draw your circle outline and then quilt just over those lines. The coaster can be 7" ish or you can make these larger and use them as placemats. 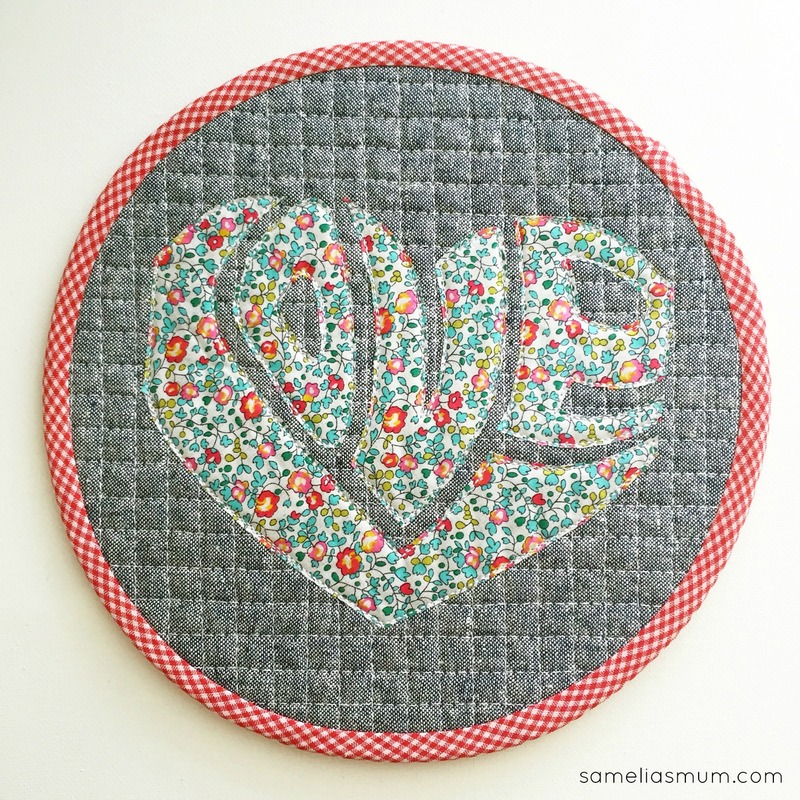 Use the "LOVE" as a cute little block on a scrappy bag, or the centre of a Dresden Fan. How about creating a few of these coasters for your friends and then sending them for Valentine's Day to show that you're thinking of them?